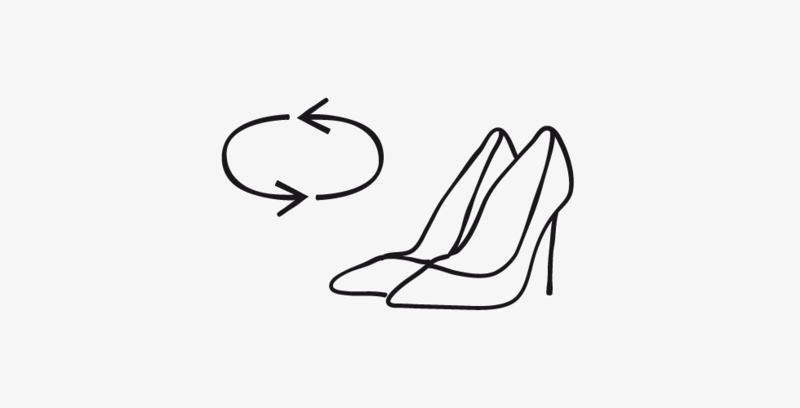 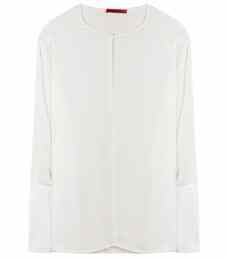 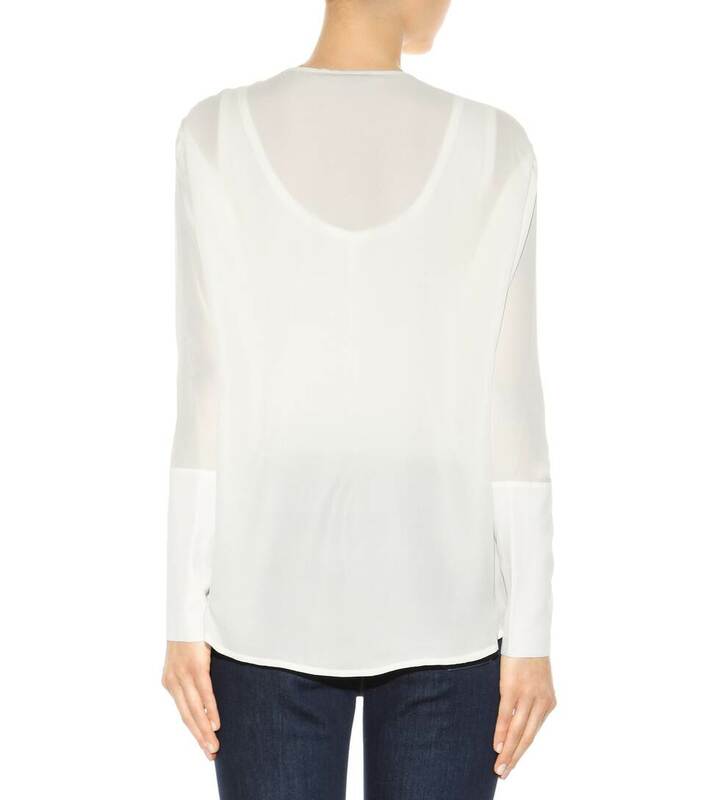 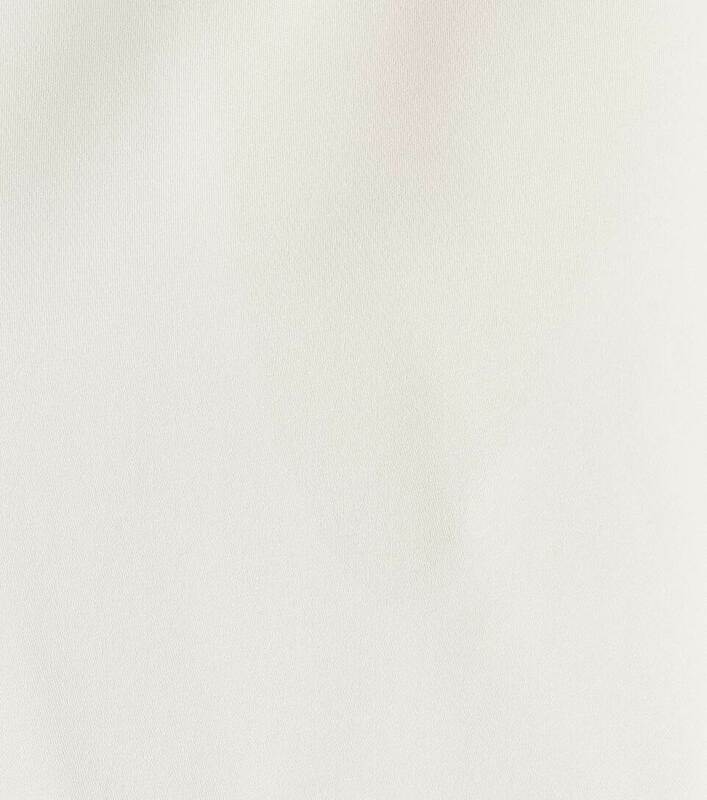 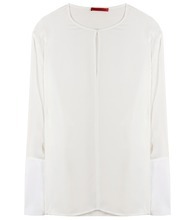 Tamara Mellon opts for minimalist chic with this ivory silk blouse. 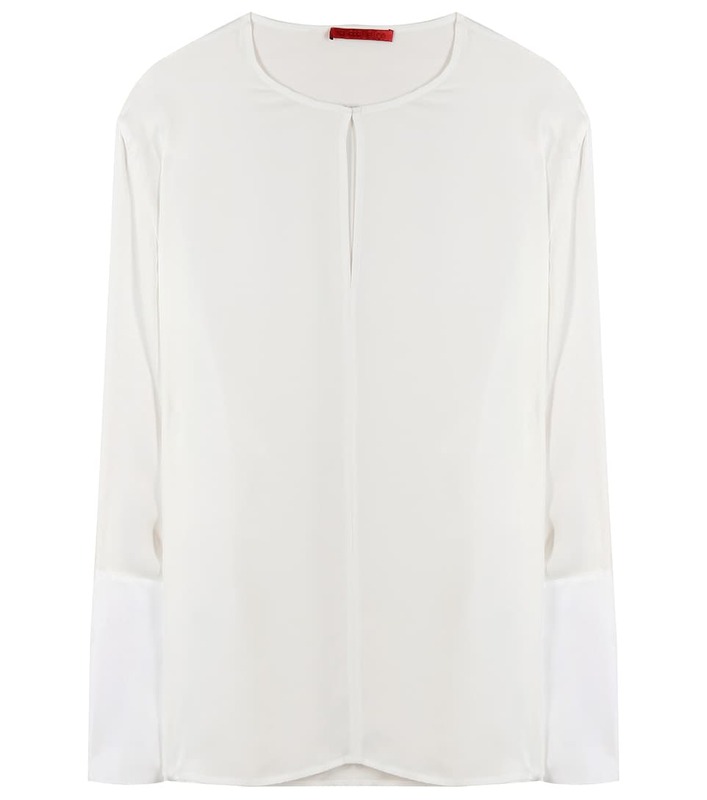  Lightweight and floaty, it is crafted from divinely soft silk with wing-effect sleeves and oversized buttoned cuffs. 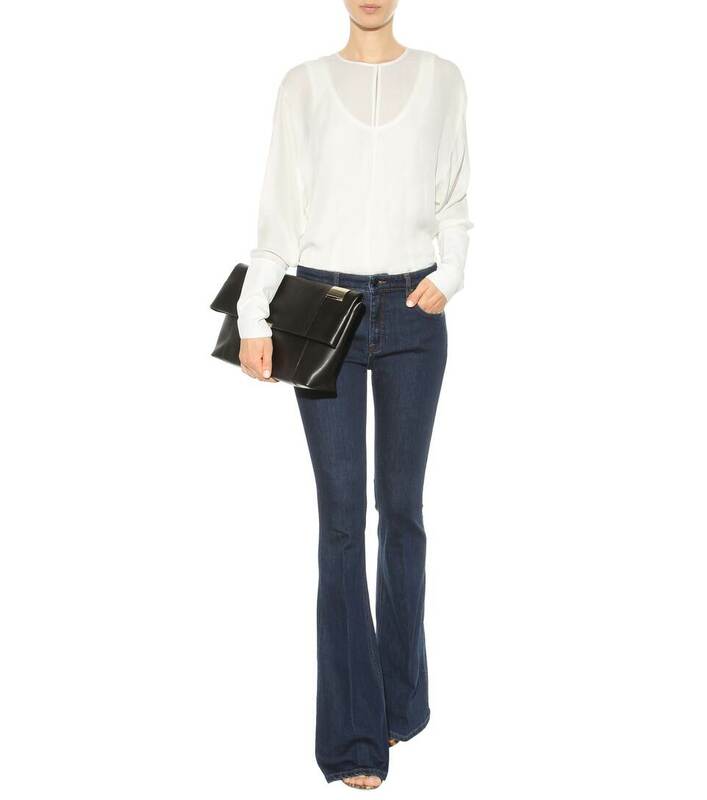 Tuck it in to dark blue flared jeans for a sophisticated daytime look.